1999 Ph.D. on natural product synthesis under the supervision of Prof Wilhelm Boland at the Kekule Institute for Organic Chemistry and Biochemistry, Bonn, and at the Max-Planck-Institute for Chemical Ecology, Jena. 1999-2000 Postdoctoral fellow of Profs Heinz Floss and Brad Moore at the University of Washington, Seattle, Topics: microbial molecular biology and biosynthetic studies. 2000- head of a Junior Research Group Bioorganic Synthesis. “Pathogenic Fungus Harbours Endosymbiotic Bacteria for Toxin Production”: L. P. Partida-Martinez, C. Hertweck, Nature 2005, 437, 884–888. 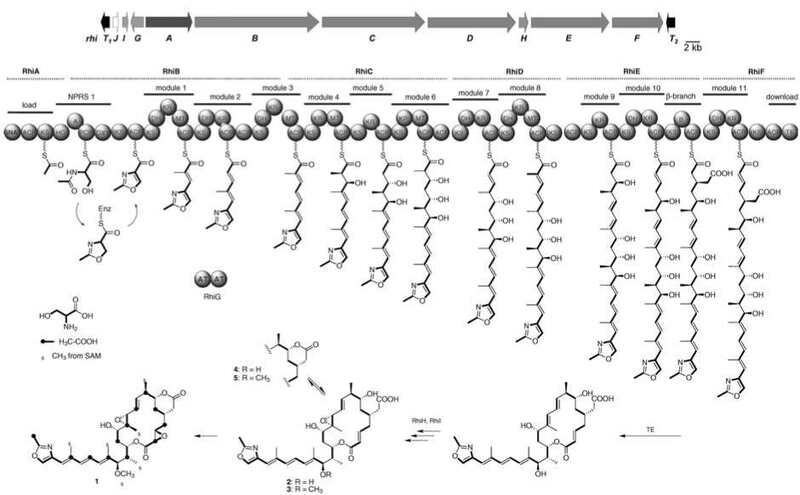 “Photochemical Origin of SNF4435C/D and Formation of Orinocin through Polyene Splicing”: M. Mller, B. Kusebauch, G. Liang, C. M. Beaudry, D. Trauner, C. Hertweck Angew. Chem. Int. Ed. 2006, 45, 7835–7838. 3. “Ribosomal Synthesis of Tricyclic Depsipeptides in Bloomforming Cyanobacteria”: N. Ziemert, K. Ishida, A. Liaimer, C. Hertweck, E. Dittmann, Angew. Chem. Int. Ed. 2008, 47, 7756. “Sequential Asymmetric Polyketide Heterocyclization Catalyzed by a Single Cytochrome P450 Monooxygenase (AurH)”: M. E. A. Richter, N. Traitcheva, U. Knpfer, C. Hertweck, Angew. Chem. Int. Ed. 2008, 47, 8872.